Explaining consciousness remains one of the top unanswered challenges in science and philosophy today. How can the warmth of love, the bitterness of disappointment, the redness of an apple, the sweetness of strawberries, be explained in terms of mass, momentum, charge, spin, or any of the attributes of matter? How can concrete qualities be explained in terms of abstract quantities and relationships? Nobody has an answer to this, and not for lack of trying. Such absolute failure to resolve the so-called 'hard problem of consciousness' has led to a bizarre twist in philosophy of mind over the past three or four decades: the trick of disappearing consciousness. In a nutshell, it consists of this: since we cannot explain consciousness in terms of unconscious matter, it must be the case that there is actually no consciousness; that consciousness is somehow an illusion. In what follows, I'll contend that this position is absurd, lacks empirical and logical integrity, and is pursued solely out of psychological, cultural, and social pressures. The very fact that I find myself in the position of having to make a case for this is a clear indication, I believe, of the appalling state of our culture and epistemology at all levels today, especially the highest, academic ones. Philosopher Daniel Dennett is perhaps the leading proponent of the disappearing trick. In his book, inaccurately and rather pretentiously titled Consciousness Explained, as well as in his talks titled The Magic of Consciousness, Dennett shows that many of our perceptions and beliefs are illusory, in the sense that they do not correspond to consensus facts. He parades a whole list of perceptual illusions right out of National Geographic's TV show Brain Games to make his point. This, he claims, chips away at what we call 'consciousness' and will eventually lead to the conclusion that, ultimately, there is nothing there; that the notion of consciousness will 'disappear' once we understand all the tricks employed by the brain. It's difficult to see how illusions of and in consciousness can indicate the non-existence of consciousness (I tend to suspect that they indicate the opposite), but bear with me. As the title of one his TED talks illustrates, Dennett claims explicitly that consciousness – that is, qualia, subjective experience itself – is an illusion. At the end, there is just the material brain. Obviously, Dennett doesn't close his argument: he is unable to actually explain how some perceptual illusions – particular contents of consciousness – could possibly imply the non-existence of consciousness itself. He just leaves us with the promissory note that, at some point in the future, somehow this will be the case. And Dennett isn't alone. Others, like psychologist Nicholas Humphrey, suggest the same thing, as this short video illustrates (also below). Despite being a surreal display of in-your-face incoherence, the fact that the video is cladded with the gentle and trust-inspiring demeanor of an affable old man renders it worth watching; if nothing else, for the curious cognitive dissonance it triggers. And since Richard Dawkins has recently tweeted this very video, I think it is fair to conclude that Dawkins too, endorses this curious view of the nature consciousness. Despite the surreal spectacle I just subjected you to, let us try to remain collected and lucid here. If consciousness is indeed an illusion, who or what exactly is having the illusion? Where can the illusion reside if not in consciousness itself? After all, if the illusion weren't in consciousness, we couldn't be talking about it, could we? The supposed non-existence of consciousness simply does not follow from the observation that certain perceptions or beliefs fail to correspond to consensus facts. If anything, what does follow is that there is such a thing as consciousness, where the illusions pointed out can reside. Dennett suggests that, if enough aspects of experience are found to not correspond to consensus facts, consciousness will be shown to be inexistent. This is wholly illogical: even if we find one day that everything we experience fails to correspond to consensus fact, that will simply show that consciousness is populated with illusions; it will leave consciousness itself intact. We are still conscious of illusions, in exactly the same way that we are conscious of our dreams. This is all so obvious it pains me to have to point it out. To try and escape the inescapable, the magicians will appeal to language games and a kind of word-dance that materialist philosopher Galen Strawson called 'looking-glass': to use the word 'consciousness' in such a way that, whatever one means by it, it isn't what the word actually denotes. The result is two-fold: on the one hand, you can't pin down the magicians because, whenever you debunk a certain interpretation of their argument, they claim that they meant something else with the word 'consciousness.' On the other hand, the implication is that the magicians' position becomes entirely hollow. Why do they do this? Why these ridiculous semantic dances, word games, purely grammatical bridges pretending to be logical arguments, and promissory notes that defy reason? More on this below. For now, bear with me a little longer. If consciousness seems to be a continuous stream of rich and detailed sights, sounds, feelings and thoughts, then I suggest this is the illusion. First we must be clear what is meant by the term “illusion”. To say that consciousness is an illusion is not to say that it doesn’t exist, but that it is not what it seems to be―more like a mirage or a visual illusion. And if consciousness is not what it seems, no wonder it’s proving such a mystery. Naturally, this completely empties the trick of any significance. Yes, consciousness apparently isn't exactly what it seems to be on face-value... duh. So what? To say that some of the face-value traits ordinarily attributed to consciousness are false doesn't mean that consciousness itself – raw subjective experience – is an illusion. To argue otherwise would be entirely equivalent to proclaiming that, because the Earth isn't flat – as it appears to be on face-value – then it must be an illusion; and to proclaim this while standing firmly on the Earth! Where is one 'standing' when one consciously proclaims consciousness to be an illusion? Obviously, raw subjective experience – that is, consciousness – isn't an illusion: it is the only carrier of reality anyone can ever know. It is the sole undeniable empirical fact of existence. Yet, Blackmore chooses her language so to still be able to say 'consciousness is an illusion.' Read this part of her quote again: "To say that consciousness is an illusion is not to say that it doesn’t exist, but that it is not what it seems to be." This usage of language sounds a bit counterintuitive to me. When we say that the alien spaceship in the sky last night was an illusion, we mean that the spaceship wasn't there; that it didn't exist. Maybe an airplane existed there instead, but not the alien spaceship. Similarly, when we say that the movement in this image is an illusion, we mean that the movement isn't there; that it doesn't exist. But when it comes to consciousness, Blackmore departs from this intuitive usage of the term 'illusion.' Why? Why look for a counterintuitive way to still label consciousness an 'illusion'? At the very least, this opens the door wide open to misunderstandings, since the word 'illusion' clearly evokes non-existence. When we learned that the Earth was actually a spheroid, we didn't turn around and proclaim the Earth to be an illusion. We simply said that the Earth wasn't what it seemed to be. So why not just say: 'consciousness isn't what it seems to be' and stop there? Instead, Blackmore went as far as titling her piece "The Grand Illusion." Before you get excited about conspiracy theories, I think the explanation for this is as human as it is prosaic: if a magician acknowledges that the 'illusion' of consciousness is just a matter of false attributions – like we falsely attributed flatness to the Earth without the Earth becoming any less real because of it – then the magic trick is revealed and loses its appeal. The magician that does this goes out of business. That some of the face-value traits ordinarily attributed to consciousness are false is trivial; it means exactly nothing as far as solving the hard problem of consciousness. It leaves us exactly where we started: we cannot, even in principle, explain how raw subjective experience arises from mass, momentum, charge or spin. But would that be an acceptable admission? Careers have been built on the premise that we are making progress in unraveling the 'hard problem.' If that turns out not to be the case, what would happen to funding, prestige and promotions? What would happen to one's legacy even after one's death? What would happen to one's feelings of self-worth and meaning in life? In this context, it is easy to see how tempting it could be to find a way to say that 'consciousness is an illusion' (even though it would more-than-likely evoke the wrong meaning, as it actually did) and thereby implicitly suggest that the 'hard problem' is becoming more treatable. Look at the last statement in Blackmore's quote: "if consciousness is not what it seems, no wonder it’s proving such a mystery." This is a rather overt attempt to understate the 'hard problem.' And it is fallacious. Give this some thought, but please notice: I am not suggesting here that there is purposefully misleading or dishonest behavior on the part of Susan Blackmore or anyone else. I personally, and sincerely, do not think that such is the case. I rather think she and the other magicians are fooling themselves; the left hand doesn't know what the right hand is doing. Indeed, what I am suggesting is that we all have natural, understandable, and perhaps even unavoidable subconscious motivations that impact our opinions and judgment in a way that completely escapes the field of our critical awareness. And I believe that this is behind much of the in-your-face incoherence and absurdity in philosophy of mind today. The subconscious power of emotional commitment to a position, once one become's invested in it, should not be underestimated; even among those who proclaim the supremacy of logic and reason. 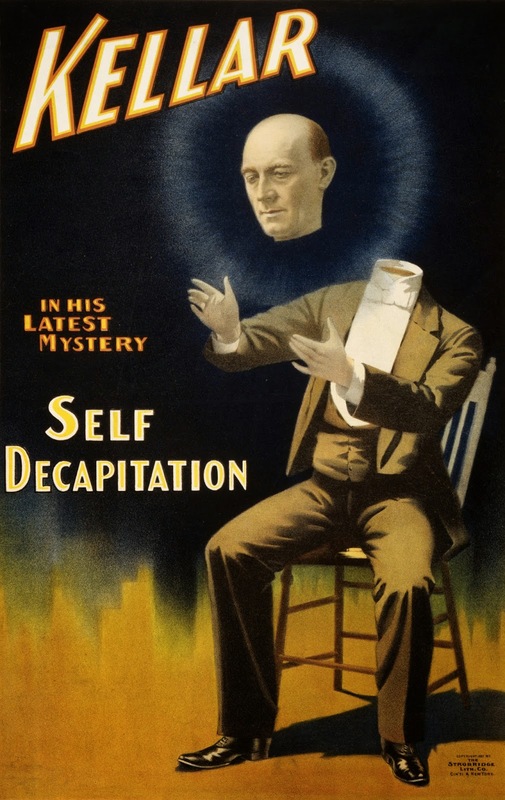 Other magicians don't go as far as Dennett, but buy into – and promote – the fundamental notion underlying the magic trick. Take Paul and Patricia Churchland, for instance: their claim is that certain aspects of conscious experience do not really exist – like beliefs and intentions – although something most of us would call 'belief' and 'intention' is undeniably experienced by every person to have ever lived. The Churchlands conclude so because these aspects of experience appear to be structured along syntactical patterns that have no obvious correspondence in brain anatomy or function. Naturally, one can criticize their position by pointing out that one also cannot find the high-level structure of software in the gates and wires of the computer chip running the software. Nonetheless, that obviously doesn't mean that the software structure is inexistent. But let's leave this aside. The point here is this: the Churchlands contribute to the absurd notion that one can deny the existence of direct, felt experience on the basis of theoretical abstractions. The Churchlands' position is ontology-bound: they start from the inference that the brain generates the mind. Therefore, if you cannot find a brain-basis for a certain aspect of experience, then that aspect of experience cannot exist. This is entirely logical if you accept the premise. However, it doesn't change the fact that people experience something we ordinarily call 'beliefs' and 'intentions.' Even if it were correct to call it an illusion, the then-illusory experience would still be a fact as such. Whatever the case, the experience isn't nothing. And, because of the 'hard problem,' it remains entirely unexplained, despite the Churchlands' best efforts. The Churchlands' definition of 'illusion' is based on the notion of correspondence: a thing or phenomenon A is only not-illusion if it directly corresponds to a thing or phenomenon B; otherwise it is illusion. In this specific case, A is the subjective experience of beliefs and intentions and B is the corresponding structures and dynamics in the brain. But think about this without any a priori ontological assumptions for a moment: does A stop existing just because there isn't a B to which A corresponds? Have your experiences of belief and intention disappeared just because someone couldn't find anything corresponding to them in the brain? Of course not. We could define the word 'illusion' so that we could label those experiences as 'illusions,' but that doesn't make them disappear. As existents, they must still be explained by neuroscience and philosophy of mind. The Churchlands don't help us do so. You must now be thinking: 'OK Bernardo, you have rejected every avenue ever attempted for solving the hard problem of consciousness. So what is your solution?' My solution is simple: there is no hard problem to begin with; it is merely a linguistic and conceptual construction. You see, the 'hard problem' only arises when you (a) infer the existence of a whole universe outside consciousness, and (b) postulate that this universe somehow generates consciousness. So you end up in the position of having to explain how an abstraction of consciousness can generate consciousness. This circular problem can never be solved! We're just chasing our own tails at light speed. Every theory of nature must grant at least one free miracle: a so-called ontological primitive. This is so because we always need to explain one thing in terms of another thing. Clearly, however, we can't keep on explaining one thing in terms of another, and then another, and then another, forever. At some point you hit rock-bottom: you encounter a thing that you simply cannot explain, but in terms of which you can explain everything else. That thing is the ontological primitive. Under materialism, depending on your favorite theory, examples of ontological primitives are the laws of physics and the fundamental subatomic particles in the Standard Model; or the hyper-dimensional branes of M-theory; etc. In all cases, you always have that thing or things for which there can be no further explanation; they simply are. Now, notice that most ontological primitives under materialism are invisible, abstract entities: nobody has ever seen a hyper-dimensional brane itself, or a superstring, or even a fundamental subatomic particle (we only observe the results of their supposed decay as indirect statistical measurements on a computer screen). The problem is that, after granting reality to abstract entities ('convenient fictions,' as anti-realist philosophers call them), we are faced with the challenge of having to explain the most concrete and undeniable aspect of existence – our consciousness – in terms of these convenient fictions. Our inability to do so is the 'hard problem.' We invent abstract entities and then try to explain ourselves in terms of our own abstractions. The 'hard problem' merely reflects a self-referential confusion of categories that has grown completely out of hand. Decades from now we will look back and wonder, flabbergasted, how we could ever have been so deluded. In my work – see, for instance, my book Why Materialism Is Baloney – I propose that the obvious thing to do is to take consciousness itself as the ontological primitive. This is right in our faces since birth. Then, we can – and I claim to actually do it in the book – explain every other aspect of reality in terms of excitations of consciousness, which obey certain patterns and regularities amenable to modeling. Under this view, the ground of all reality is an impersonal flow of subjective experiences that I metaphorically describe as a stream, while our personal awareness is simply a localization of this flow — a whirlpool in the stream. It is this localization that leads to the illusion of personal identity. Moreover, it is your body-brain system that is in consciousness, not consciousness in your body-brain system. Think of reality as a collective dream: in a dream, it is your dream character that is in your consciousness, not your consciousness in your dream character. This becomes obvious when you wake up, but isn’t at all obvious while you are dreaming. Furthermore, the body-brain system is merely the image of that process of localization in the stream of consciousness, like a whirlpool is the image of a process of localization in a stream of water. For exactly the same reason that a whirlpool doesn’t generate water, your brain doesn’t generate consciousness. Yet, because the image of a process carries valid information about the process — just like the colors of flames carry valid information about the microscopic view of combustion — brain activity correlates tightly with subjective experience. For more details of this worldview, I invite you to peruse recent essays in this blog, recent videos in my YouTube channel and, most importantly, my most recent book. It is in the book that the complete case is laid out, and nowhere else. This is a real grand slam of an article! The second to last paragraph on materialists' attempts to derive consciousness from abstract ontological primitives invented by consciousness is one of the most important points I've heard you make--one that materialists so often carelessly overlook. I have just one question/suggestion: when you say "on-your-face," do you mean "in-your-face?" I know some people who'll immediately dismiss a piece of writing if it contains grammatical or vocabulary errors or (as silly and superficial as that is), so it might be to your benefit to look that over. whoops, speaking of writing errors, take out the extra "or"
Thanks, will correct! English isn't my mother tongue. 2. I like the way you describe the materialists’ most ontological primitives as “invisible, abstract entities.” I’m always amazed at how much difficulty skeptics (fake, not “real” skeptics – in other words, the materialist kind) have in understanding this. Last year I had an extended conversation on the Amazon page for Thomas Nagel’s “Mind and Cosmos” with an otherwise very intelligent man (or at least, he tells people he has an IQ above 140:>) who simply could not grasp this (he’s also the head of some atheist organization in California). For example, when I was trying to make the point that all materialist explanations for our experience involve abstractions, I gave the example of sound waves and photons. “We don’t actually HEAR sound waves or SEE photons; we hear sounds and see colors and shapes.” Well, in all his 40+ years, he had never heard anything so outrageous. “Of COURSE we see photons; of course we hear sound waves. You’re just playing with semantics,” he told me. I finally ended with an “Edge” article by leading science writer Tor Norretranders. He was quiet for a long time, then some months later a number of fellow skeptics came on and trashed Norretranders, saying he obviously knew nothing about science! (the Edge website solicited Norretranders along with a number of leading scientists). Anyway, I wish you good luck in getting this point across. I wonder sometimes if it’s not just social, political and academic pressure, but there’s also a true deficit with some people. I suspect, for example, having read the Churchlands’ writings over several decades, that they may actually have some kind of mild Asperger or Autistic syndrome. This may sound just like a clinical psychologist over-analyzing, but Iain McGilchrist (a psychiatrist, I must admit) makes the same speculation in his book, “The Master and His Emissary.” McGilchrist also notes that – in his analysis of the increasing imbalance between left and right hemispheres – with the left becoming more and more dominant over the last several centuries, there has been a correlated (perhaps causal?) increase in autism, schizophrenia and general materialistic beliefs. I personally think he’s on to something, and a thorough analysis of the predominant belief in materialism would do well do consider McGilchrist’s ideas. Actually, I'm glad you added this comment (and yes, I see the smiley emoticon so I'm assuming you're not overly angry at my saying it). But perhaps you could help me. I've used the autistic/asperger analogy/metaphor several times in regard to materialism and it still seems to me it can be helpful. Do you have any suggestions? Do you think it's likely to be perceived so widely as inappropriate or insulting, that I should just not use it at all? If so can you think of other ways to convey the same idea? Interesting, and I am diagnosed with schizophrenia. And this kind of inquiry that Kastrup does is my main interest and consumes most of my time. Something doesn't add up. sorry, I didn't make it clear that Norretranders Edge article was making the same point - much more eloquently - that I was trying to make, that science's explanations of sensory experience consist primarily of abstractions. Needless to say, Mark (my fellow commenter on Amazon) didn't "get" Norretranders' point any more than he got mine. Perhaps he would understand this article! English is not my mother language also... I will do my best. How con someone who only knows relative truth relative experience (me and the world out there as separate) convey the notion of being IN consciousness (Oneness). There can be cases where individuals come to this realization on their one (seems very very rare) or with the help of a teacher, self awareness and inquiry, books, gurus etc. Can the experience of being in consciousness and not consciousness in me be realized just by thinking? I don´t think so, at the end the activity of thought turns out to be an activity in the field of consciousness. Ego is very important in dualism, it is the object that has the label ME on it. If one lives believing, assuming he is in essence the ego then everything else including the physical body in some cases, will appear as a separated object and of course the ego appropriate consciousness as it´s own, as a thing it has. (Consciousness in me notion) The ego will try to make it an object, when in fact consciousness is the carrier of all objects, including the ego. Egos who have build careers on the notion that consciousness is in the brain and not the other way around will obviously form at first (In a lot of cases) resistance to be open to a completely different version of the truth. Imagine their whole life style in stake, and if the ego is good at something when one is identified with it is to fear not being someone, being wrong and fear of the future it self, resistance will arise. Translation: "Because of their existential terror they will turn science in to a religion. At the end they will die sad." Hi Fab: I think you did a good job (assuming I understand it). You might want to look at the forum on this site and look at some of the posts of Peter Jones. Peter is quite convinced that one can make a case for a non dualistic outlook from a purely logical standpoint, without the necessity of a 'realization". I think he's right - and the difficulty of people like Blackmore, Coyne, etc is not that they're lacking realization but that they have a prior ideological commitment to materialism. I hope i've understood what you wrote. "A causa de su terror existencial, convierten a la ciencia en una religión. Morirán tristes." Translation: "Because of their existential terror they will turn science in to a religion... At the end they will die sad." Some really great moments in this piece.. I loved the paragraph that began "Every theory of nature must grant at least one free miracle:.." Brilliant! very clear, point by point analysis. i commend you, bernardo. of course, please don't think for a moment that certain thinkers, writers, public figures, scientists will ever read your words as carefully as those without an already existing emotional investment to ignore them. Some of this is maybe a case of people muddling up what they mean by consciousness? Nicolas Humphrey is fair enough, as far as he goes. When he talks of "pain" he talks about it "appearing in the theatre of my mind" and "the brain does something that looks to my like pain". Effectively, he's saying "I have experiences and my brain comes up with them". He's not really talking about understanding consciousness much at all; he doesn't tackle the "I" and "me" in his statements. He's talking about experiences arising within consciousness ("theatre of my mind", "looks to me"). That he suggests correlations between brain signals and that experience isn't problematic. Saying that "pain" is an illusion - as in, it is not what it appears to be - isn't controversial. Saying that the table I'm sitting at is an illusion - not what it appears to be - is fine also. It seems that "consciousness" can be used to mean: a) awareness, the awareness of what is being experienced, b) the sense of being "me", reflective consciousness, or c) the objects within awareness, kind of forgetting about awareness itself. Problems arise when we use one of these or mix them up. Only by saying that they are all the same thing, the same stuff, do we get out of it. Most of the positions I disagree with turn out to be unwittingly overlooking one or the other. Consciousness *is* an illusion, if applied to "the contents of awareness", because the objects which we see around us are indeed not what we assume them to be. They're not solid objects made of atoms, but neither are they brain signals. The only bit they get wrong is between causality and correlation. On Susan Blackmore, I think she's always pretty sincere. Her textbook-like book "Consciousness: An Introduction" is one of the most complete and accessible I've read on the subject. She covers all aspects, up to and including the esoteric, and is open about her own opinions whilst not allowing them to interfere with her presentation of the issues. I recommend it. Her comment you quote actually seems okay to me? She's equating consciousness with contents (definition b maybe with some c). She just doesn't then go far enough. -- The alien spaceship was an illusion. What Blackmore's example shows, is the willingness of the "magicians" to bend language and say: "The light in the sky was an illusion!" Do you see what I mean? "First we must be clear what is meant by the term “illusion”. To say that consciousness is an illusion is not to say that it doesn’t exist, but that it is not what it seems to be―more like a mirage or a visual illusion." Now, I'd say that she really means "objects in awareness", but that's close enough. This use of the word "illusion" corresponds to the Buddhist way, which I actually think is the most applicable in this area. The world is an illusion, say, but that's not to say it doesn't exist - as in, you are actually having no experience - it's that it is not the "solid world of stuff' that it seems to be. The *nature* of the experience is not what you think. Idealism is all about pointing out that your experience is an illusion - meaning that you are not experiencing a solid body and those aren't solid physical objects. So long as you don't then say "what things really are, is brain signals" (rather than, there is a correspondence depending on point of view) then it's okay. Now, he is talking about brains and so on, but he does abstract into patterns and substrate independence. It's still about brains, but you can then say: patterns in what, really? Patterns in consciousness, from a 1st or 3rd person perspective. Anyway, he's a good presenter and always worth a look. I will disagree again, George, even though I understand what you are saying. In the case of consciousness studies, the meme that 'consciousness is an illusion' is used all the time to suggest that the 'hard problem' is treatable, and becoming more treatable. In other words, the term 'illusion' is not being (mis)used here in the Buddhist way; it's being inappropriately used to mislead and give legitimacy to materialism, in my opinion. I'll check on Tegmark, thanks! ... this constant "I am certain that we'll work out what consciousness is, any time now" promise is tiring, just like the promise of a grand physics theory of everything. Particularly since, in materialism, nobody has quite worked out what exactly matter "is" either. Those arguing about consciousness in the same hopeful manner strike me in the same way: that it's just inconceivable that it won't just fall out of the 'equation' they're currently working with. Yes, I love that article. :) Anyway, based on your feedback, I softened the language in the essay a bit (mainly in the part about Blackmore's quote), and clarified certain things to avoid ambiguity. Thanks! Ok, I understand the impulse to be "nice" but sometimes it may be inappropriate. in fact, Blackmore admitted, in the early 90s, that she out and out lied about the outcome of a number of her parapsychology experiments. (see "Shaving Science With Ockham's Razor" for more details). In the decades since, she has clearly, intentionally mislead people with regard to various psi outcomes - not only did she admit direct, intentional lying in the early 90s, she has changed her story enough regarding negative vs positive outcomes in psi research that unless she is delusional, there is clearly a great deal of dishonesty here. If someone is not dishonest and you accuse them of being so, I see that's inappropriate. But if someone really is dishonest, I don't think it's unfair to point out they've been dishonest. Isn't this mixing things up though? This is exactly the problem with these interactions. We need to concentrate on the particular points being made. If the ideas are useful, take them, if not, chuck them. If you quote someone, it's the quote you are responding to, not the person. You can't be dishonest about an idea... your interpretation may be subject to bias though. And sometimes what we interpret as dishonesty is just... humanity. Reading Blackmore's essay on her psi skeptical conversion, I find that she is led to reject a certain sort of psi, but throws the baby out with the bathwater. For instance, she comes to the conclusion that Tarot cards don't work because when people didn't know each other the results were insignificant. However, when the did know each other the results were - which is a positive result requiring explanation. "You may choose to interpret these results in different ways. Some parapsychologists have claimed that the first experiment found genuine psi and that the later ones didn’t summon the same attitude, the same novelty, the same enthusiasm, that made psi possible—or even that psi itself doesn’t like being replicated. But I think I had finally reached a stage where I no longer felt it was worth pursuing such arguments. I chose this point to say: "I think that, however many more experiments I do on psi, I am probably not going to find it." "It forces us to ask ever more boring questions, culminating in the question "Does psi exist?" and to that question there is no obviously right answer. Where there is no right answer, we are in ignorance; and, where we are in ignorance, we should do only one thing—have an open mind. But that is too difficult. After all these years of research, I can only conclude that I don’t know which is more elusive—psi or an open mind." It is sometimes tempting to see conspiracy where really there is something more mundane. Anyway, that's my take. Note: I don't care one way or the other, about psi or Blackmore. I'm a "pursue clarity and see where things go" person. ALL: I updated the text with your feedback, particularly George's. Thanks! It should be sharper and less ambiguous now. My commentary on Susan Blackmore's quote and the Churchlands' ideas should also be more accurate and precise now. It may deserve a second read. Wow, approaching 2000 Facebook likes, thanks! Misidentifying "X" doesn't mean that "X" doesn't exist. If I'm walking down the street and from a distance Bernardo mistakes me for his friend Jim, when he shouts over - "Hey, Jim! Long time no see!" - I don't suddenly dissolve. Which is a good thing, overall, I'd say. "Think of reality as a collective dream: in a dream, it is your dream character that is in your consciousness, not your consciousness in your dream character. This becomes obvious when you wake up, but isn’t at all obvious while you are dreaming." This is my favourite analogy, because it moves everything into the realm of "experience" and away from "what things are really". e.g. What are atoms? In what sense are things made from atoms? * Only in the sense that if you look closer at certain experiences, they become granular. And that is key: you are not seeing what things are "made from" or "going deeper" - there is no hierarchical structure. You are changing the level of granularity, of detailing, of your experience. It also encourages you to investigate your own experience, to note that you don't personally experience "being a body and a brain" - you experience being an "open space" where the world seems to appear. Anything beyond this is conjecture, strictly speaking. The bit that still needs nailing down for me, in terms of language, is the more from "subjective idealism" (there is only my awareness space) to the admission of "other people" and of a "larger consciousness" even though apparently I don't experience it. Hence spatial representations and difficulties using the whirlpool analogy. The way around this of course may be that: we *do* experience it, because our conscious space extends infinitely in all directions; it's simply that we are "select/filter" the content of our experience from all possibilities, from *within*. You *are* the larger dream; at any moment though you experience one single perspective with limited memory. Yeah, see what I mean about language? I'd be interested in you writing an article that focuses specifically on the personal perspective vs "everything being made of atoms" and so on. Sometimes things are *ideas* that we hold and sometimes they are *experiences*; the boundary between the two is interesting. *I see atoms as being experiential patterns at a particular granularity, as a first guess. Wow, more than 2500 Facebook Likes... am I hallucinating? No, that's just a hallucination. But they have been increasing at an accelerating rate. BTW at least in a windows environment I recommend Jing as a fantastic, free screen capture utility. Strange... It says 2.7k Likes now! See just above the comment section in this page. Yikes I read to quickly, I thought you were referring to your Facebook page likes. Of course why would you talk about that here :(. Yes I see the 2.7k now. Thats amazing and kind of strange. Look at your Blogger stats for the page activity for clues I guess. Google analytics is worth setting up if you haven't. Are there other posts with anything close to that? Anyway congratulations! "So you end up in the position of having to explain how an abstraction of consciousness can generate consciousness"
That pretty much hits the nail on the head right there in one sentence. I need to read more of your book to try and understand how in the world we have got to such an absurd situation- A situation that I brought into as much as anyone else. I agree. This is definitely one of the 95 theses to nail on the doors of the churches of Materialism. Excellent article! So articulate and extremely well expressed. A very difficult and subtle topic too - and you present it beautifully with impeccable logic. I have spent the last 3 years studying vedanta with a traditional teacher (albeit a western one, the incredible James Swartz) and found it the be the most powerful, concise and life-changing science of consciousness there is. Your arguments and conclusions are bang in line with this ancient body of knowledge! I'm wondering if you have studied vedanta yourself? It takes a subtle and very open mind to grasp the issue of consciousness and nonduality, which runs so counter to our deeply-ingrained materialist/outside-in paradigm...yet, by exploring the unexamined logic of our own experience, it's inescapable. And truly liberating! Rory you should join Bernardo's forum and check out Don Solomon's and Peter Jones's threads and comments. I think you would enjoy them. News flash: I've finally decided to read a Vedanta book, starting this weekend! So many people tell me my ideas mirror Vedanta, it's time for me to bite this bullet. I've got "The Eternities: Vedanta Treatise," by A. Parthasarathy, given to me by an Indian friend. We shall see! And Rory, many thanks for the encouragement, it is sincerely appreciated! I just wanted to thank you for your work. For most of my adult life I have been a militant materialist. As a Westerner of course, I thought it was the only valid, rational way of seeing reality. About 1.5 years ago, I started to meditate in a secular way as a way to calm my mind as my stress levels were very high. I started to achieve some peak states via this process and started to explore more. I started to explore the ideas of Vedanta/Advaita/Buddhism and found them highly correlating with my experience. But I still remained in doubt as I couldn't get past this intellectual block of materialism. Then consciousness led me to your books, particularly "Rationalist Spirituality" and "Materialism is Baloney" and those really brought it all together. The block was removed and the final break from materialism was achieved. "I" finally knew that this new understanding was the rational one, and I could stop worring about going nuts. It's a canyon of understanding between Stephen Hawking and Daniel Dennett and Ramana Maharshi and Maharaj. I tell people now the fastest way to enlightenment is self-inquiry meditation and reading your work. I went to the local science museum this last weekend and they have a whole wing on the brain. Right there in the entrance to the wing is a sign that reads "You Are Your Brain". I feel like I've taken the red pill. I am so grateful to have found sanity in a world clearly gone mad. But I still feel we are obligated to help others find the truth so this world is a better place. I feel mind let us see the truth so that we can help others. Materialism had its role in the evolution of Mind. It would have been mighty confusing to go from pre-rational religion to transrational awareness all in one step. Science needed a chance to be established to dispell many myths of the pre-rational world. But it's time is past. Many people are waking up to the fact that science has no answers for the most fundamental aspect of life, consciousness. And they will go looking for answers. We must be there to light the way..
BB, I agree with every word you wrote. My journey is not dissimilar to yours. I, too, have always needed a rational, sound interpretational foundation for my experience of life. Having found it, my inner motivation now is to help people like me/you find it too. That I could be of some help to you gives me great gratification. Thanks for letting me know, I sincerely appreciate it. I have been thinking lately that the idea that science as a paradigm can be reformed by the replacement of materialism with idealism as its metaphysical perspective has been very naive on my part. The post-Enlightenment history of science IS the history of materialism. They are expressions of each other. No I think the next paradigm, while retaining much of scientific method will go forward with subjectivity at its core, with what we have called objectivity reframed as shared subjective experience. Much of what we know about shared subjective reality will remain the same, especially as a basis for engineering, but I suspect will be reframed in such a way that if we could time travel to 100 years in the future we wouldn't recognize most of it. It occurs to me that how nature is categorized might change the most. Ditto Bob! I think this is precisely what will happen. Yet, I think we will retain the term 'science' for shared subjectivity alone, instead of overloading it with introspective methods. I think this is for the best, to avoid confusion. RHC, you hear all the time that 95% of the Academy of Scientists are atheists or whatever. There is a deep, deep bias within the scientific community that only materialism can be true. Anything else is "woo" and can be discarded out of hand. This is why the "hard problem" has such potential to institute a deep crisis within materialism and science. You are correct that we must not be naive. Materialism is a religious devotion, with all the bells and whistles of dogma, expulsion of heretics (Thomas Nagel and Rupert Sheldrake), superstition and faith (consciousness arises out of matter, no idea how), arrogance, and ego-bound beliefs. Prepare for a tough battle. But I am optimistic. We are all drawn to truth. The same information revolution that made short work of mythic religion can now dispense with materialism. The methodology of science will probably not change much, but the whole overarching context in which science will take place will have to be upended. When it happens, it will be the biggest revolution the world has ever known. The transrational world will be unrecognizable to us in this time. It's an evolutionary leap unlike any other in history. It's hard to overstate how deeply materialism is embedded in modern culture. The entire context of culture and perspective will change. Just imagine how transformative individual awakening has been. Imagine that on a societal scale.. I hesitated to post that comment because people with heavy filters in place are sure to start envisioning villagers with pitchforks, and the return of superstitious ignorance whereas I see the change I describe as the Renaissance of Science. A great expansion of its ability to study, describe, model, correlate etc.. an even larger domain of reality with rigor and LESS dogma. A science that is fundamentally open-minded in execution as in self-congratulatory myth. Correct, that's why I am very careful to differentiate "pre-rational" to "trans-rational". Nobody wants to go back to throwing women in lakes to see if they're witches. Rationality will still stay in place, it will be now expanded in its contect and understanding..
>RHC you hear all the time..
BB I completely agree with this comment. Well said. I seem to have assumed the role of promoter for Bernardo's forum, the most interesting community procrastinators of a certain ilk can hope to find. So I encourage you to join us there. Sure, how do I join? just click on the forum link on the home page menu bar. Its a Google Group. Great article Bernard. My take home from this article is that materialist philosophers have created a huge house of cards with their arguments. As soon as it becomes clear to a critical thinker that all of these arguments to support their position come via consciousness and then thinking (and the order is important!) then it is easy to understand the the hollowness of their reasoning and the house of cards comes tumbling down. This insight is described in more detail in Rudolf Steiner's "Philosophy of Freedom" from 1894. This article was long overdue! Thanks. The underlying model/s of consciousness referred to centre on the inner subjective experience of consciousness. To understand a scientific model of consciousness we must ask what such an ability is used for, what function does it have, what change could we expect if it was removed. Philosophical zombies are used in an effort to address the later mentioned question. The question is: of the functions of consciousness, which ones require an experiencer? This is clearly a problem that can not be solved with a single idea. A simple answer that addresses part of the question is to consider that in the human mind (eg short term memory) an individual can host thoughts belonging to other people. These may be thoughts you don't agree with or even violently oppose. In order to separate the thoughts belonging to the self and thoughts from other sources there must be a self to which one's own thoughts, imagination, feelings and emotions are assigned. We are able to model others thoughts and emotion and feelings and we are able to feel some of what they experience. Thus a method of separation is essential. Robert, can you point out ONE -- one single -- function of consciousness that does not require an experiencer in some form? Can we even talk of experience without talking of an experiencER, even if that experiencer isn't a person or an individual of any kind? Does it matter whether all is in consciousness?